No matter the religious tradition, often the first description any child remembers about heaven will include its heavenly host of angels. The Bible references these messengers of God more than 300 times. Angels appear to humans to deliver messages from God. Angels spoke to Hagar, Abraham, Jacob, and Moses. 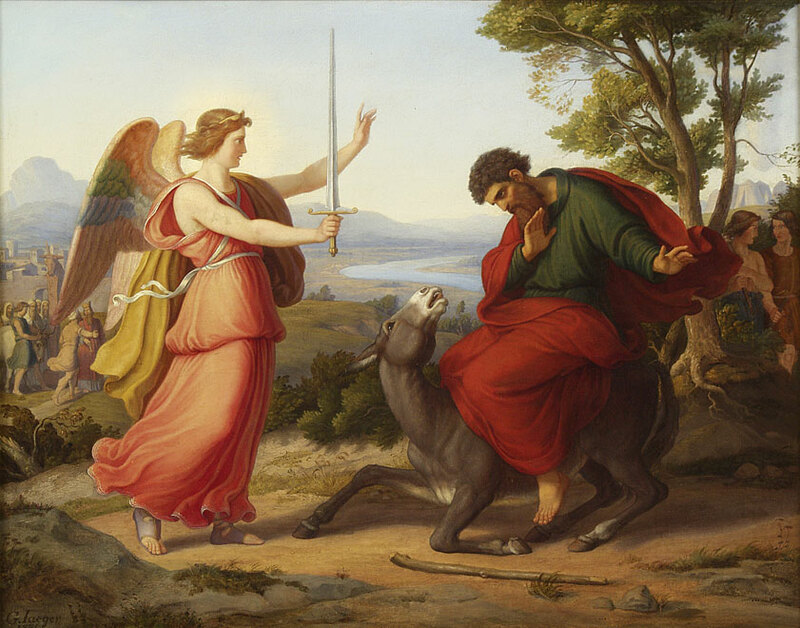 It was an angel that stood in the way of Balaam’s donkey. Gideon declared he had seen an angel of the Lord face to face. Angels brought prophecies, delivered pestilence, appeared in dreams, shut the mouths of lions and announced the birth of Christ. Christian/Judeo tradition recognizes the two archangels named in the Bible as Michael and Gabriel. 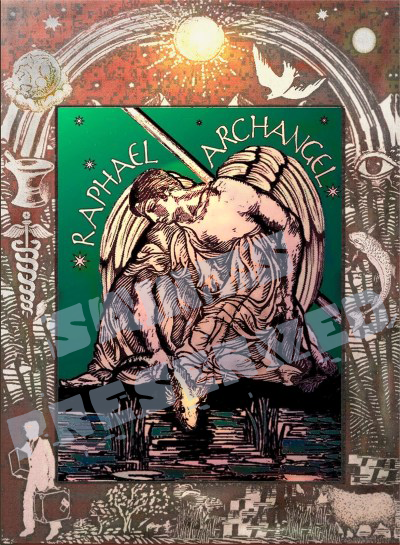 In the Aprocrypha, Raphael and Uriel are included. 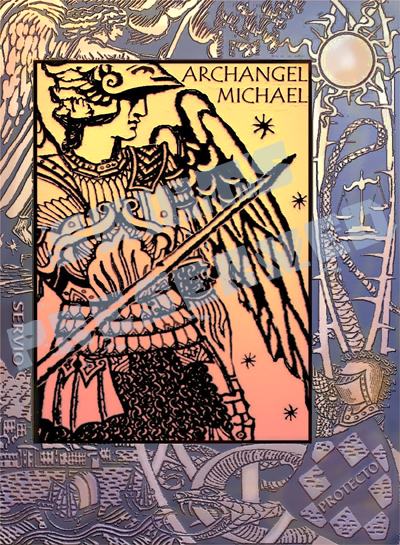 The Feast of St Michael on September 29 traditionally includes Gabriel and Raphael. 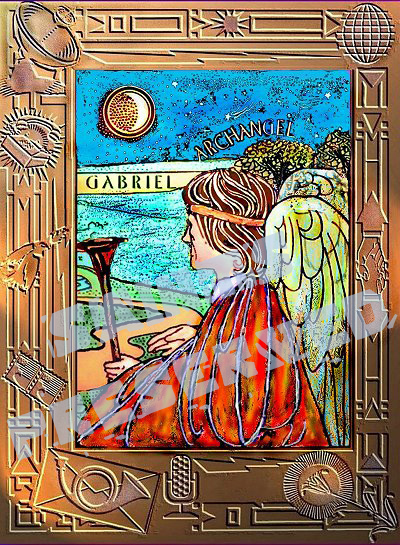 The Book of Enoch, which is not part of the Jewish Canon but is prevalent in Jewish tradition, mentions a system of seven archangels named as Gabriel, Michael, Raphael, Uriel, Raguel, Remiel and Sarqael. While the book is non-canonical in most Christian churches, it was explicitly quoted in the New Testament (Jude 1: 14-15) and the Ethiopian Orthodox Church regards it to be canonical. 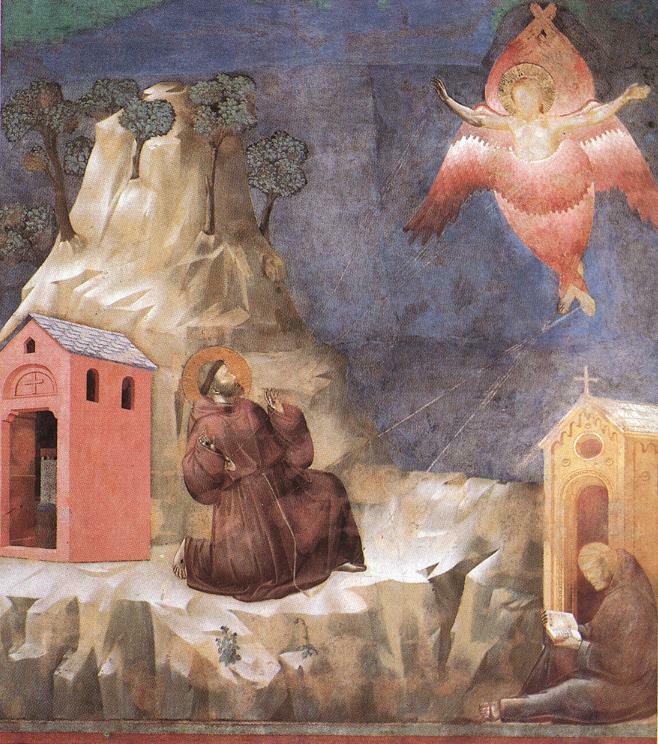 Regardless of numbers or ranks, angels are popular in art and literature to this day. Human fascination with these holy messengers shows little decrease. Guideposts, a popular Christian publishing house has an entire publication dedicated to our angelic friends and the inspiration they still instill in humankind. A seraph (pl. 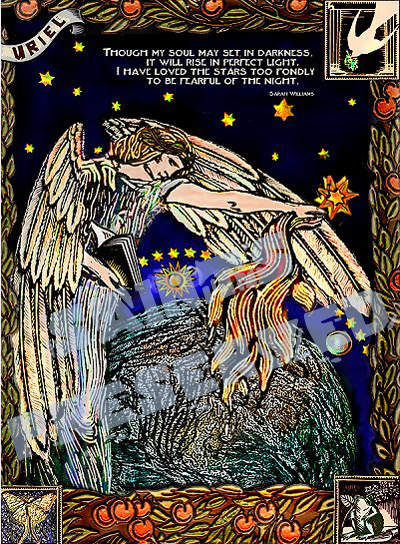 seraphs or seraphim /ˈsɛr.ə.fɪm/; Hebrew: שְׂרָפִים śərāfîm, singular שָׂרָף śārāf; Latin: seraphi[m], singular seraph[us]; Greek: σεραφείμ) is a type of celestial or heavenly being in the Abrahamic religions. Literally “burning ones”, the word seraph is normally a synonym for serpents when used in the Hebrew Bible. A seminal passage in the Book of Isaiah (Isaiah 6:1-8) used the term to describe fiery six-winged beings that fly around God’s throne singing “holy, holy, holy”. This throne scene, with its triple invocation of holiness (a formula that came to be known as the Trisagion), profoundly influenced subsequent theology, literature and art. Its influence is frequently seen in works depicting angels, heaven and apotheosis. Seraphs are mentioned as celestial beings in an influential Hellenistic work, the Book of Enoch, and the Book of Revelation. Tradition places seraphs in the fifth rank of ten in the Jewish angelic hierarchy and the highest rank in the Christian angelic hierarchy. In modern English the word cherub is sometimes used for what are strictly putti — baby or toddler angels in art. A cherub (Hebrew כְּרוּב, pl. כְּרוּבִים, English trans kərūv, pl. kərūvîm, dual kərūvāyim Latin cherub[us], pl cherubi[m], Syriac ܟܪܘܒܐ) is a type of spiritual being mentioned in the Hebrew Bible and cited later on in the Christian biblical canons, usually associated with the presence of God. The plural can be written as cherubim or cherubs (sometimes cherubims in English translations). Cherubim are mentioned in the Torah (five books of Moses), the Book of Ezekiel, and the Book of Isaiah. They are also mentioned in the books of 1 Kings, 2 Kings, 1 Chronicles, and 2 Chronicles mainly in the construction of the House of God. They are also mentioned extensively in the Psalms. There is only one mention in the New Testament, in Hebrews 9:5, referring to the mercy seat of the Ark of the Covenant. Angels: No Christmas carol service can omit them. Artists have been fascinated with them throughout time. Pop music and movies have featured them. We attribute to those we love angelic qualities. Even those who profess no faith, say they believe in them.